Automotive vehicles are nowadays equipped with a significant number of networked electronic systems by which advanced vehicle control, elimination of bulky wiring, and sophisticated features can be achieved. Most of the features are enabled by the use of distributed electronic systems including sensors, switches, actuators and electronic control units (ECUs). In today's premium automobiles, there can be fifty or more individual ECUs communicating over multiplexed data networks such as Controller Area Network (CAN), Local Interconnect Network (LIN), FlexRay for X-by-wire applications (Kopetz & Bauer, 2003; Leen et al., 1999; Leen & Heffernan, 2002; Shrinath & Emadi, 2004). 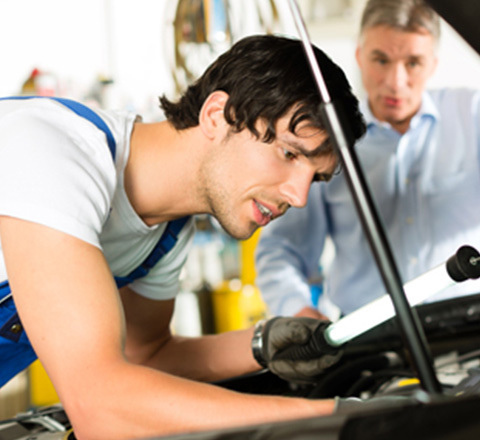 Saif Autos is offering you auto fault diagnostic services.